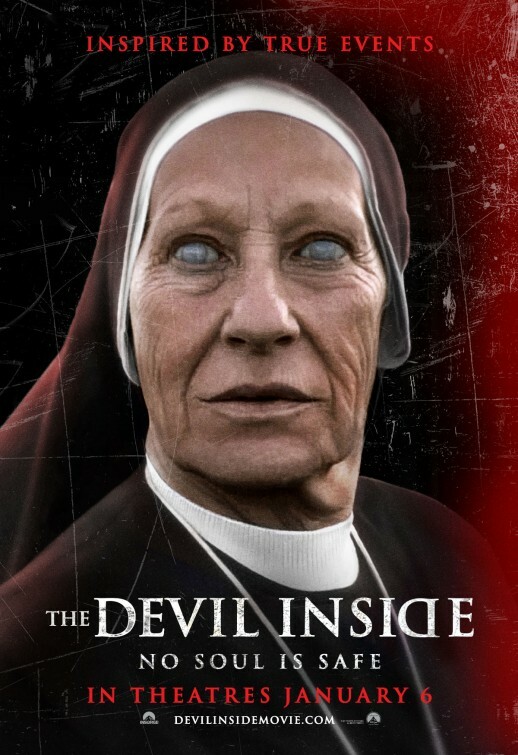 “The Devil Inside” Directed by William Brent Bell and starring a cast of relative unknowns, tells the story about a young girl that suffers from a tragic past that resulted in her being separated from her mother. Plagued by an illness that is believed to be demonic possession by some, Maria Rossi is transferred to a mental hospital in Rome. Her daughter Isabella travels there twenty years later searching for answers and the hope that she can reconnect on some level with her mother. Isabella enters the world where the paranormal and spirituality collide. She is introduced to a team of exorcists and believes that she can finally get the answers that she seeks about her mother’s condition. Maria was exposed to the idea of exorcism when Isabella was a child. The result was a deadly one which was the contributing factor in Isabella growing up without a mother. The fast-moving film is shot in the form of a documentary which disappointed me greatly. Overall there were a few good scenes, like when the Priests first wanted to expose Isabella to a real exorcism. That was pretty intense. The scene when the Priest was possessed, was interesting and of course the final scene when Isabella herself was possessed and the demon took control of her and her film partner that was driving. The movie ended too abruptly and made movie goers upset that they invested time and twelve bucks into a movie ticket. Honestly there was nothing new or different that this film contributed to the genre. I always give movies a chance and hate that I gave this one the time of day. I think that too many production crews are coping off of the orignal idea of “Documenting” as seen in “The Blair Witch”. It is ok to see it every once in a while but now I feel that writers for films are coming up dry with fresh new ideas. Another thing that bothers me is that they feel that they can slap up the phrase “based on a true story, or inspired by true events” and that is supposed to make us flock to the theaters. I know a lot of you are real fans of exorcism movies like me, and I can truly say that the last really good one was “The Rite” starring Anthony Hopkins. I think that as a whole community Hollywood and Film better their acts together if they plan on continuing to entertain us in the years to come. I see that there are a lot of small and independent film companies that are producing some really good stuff out there. As of now going to the movies is at an all time low. I would think that since people are cutting back in other aspects of their lives they would indulge in going to the movies at least once a month, but If we don’t have anything good to watch then me might as well stay home. The next movie I will see is the upcoming Underworld film. I know that is not going to be a disappointment especially since Kate B is BACK! !